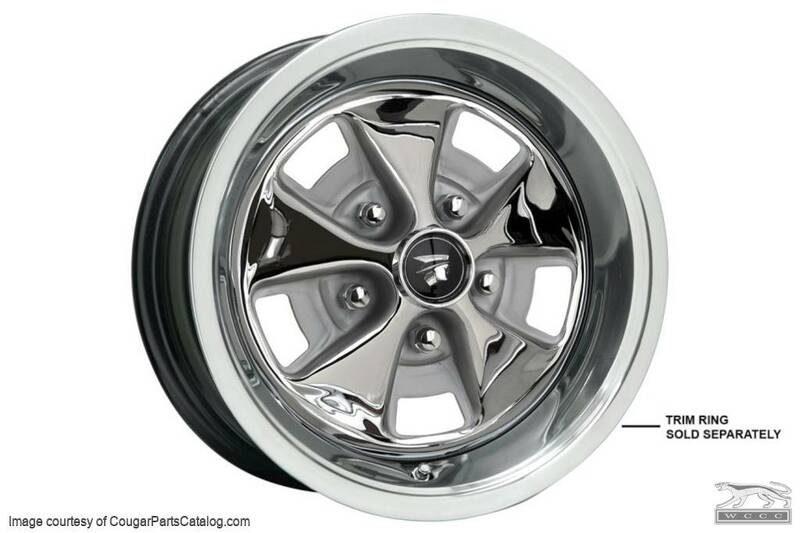 Reproduction 14"x6" styled steel wheel with correct argent silver finish between the chrome spokes on the center for your Mercury Cougar. 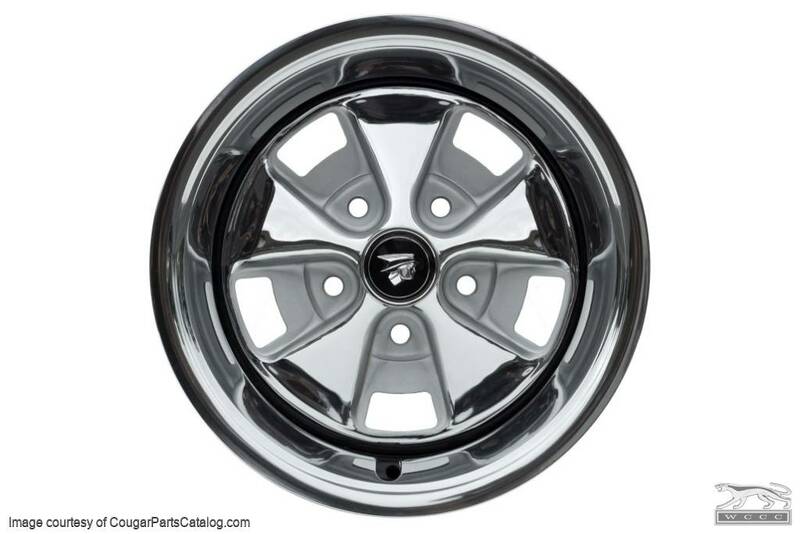 Gorgeous reproduction of the original 1968 Mercury styled steel wheel. 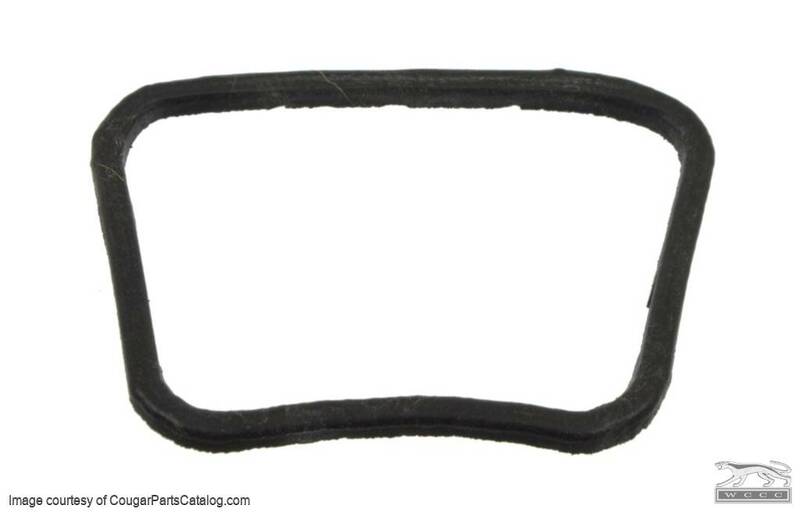 Correct in every way except that the outer band is welded on instead of riveted to the center section. 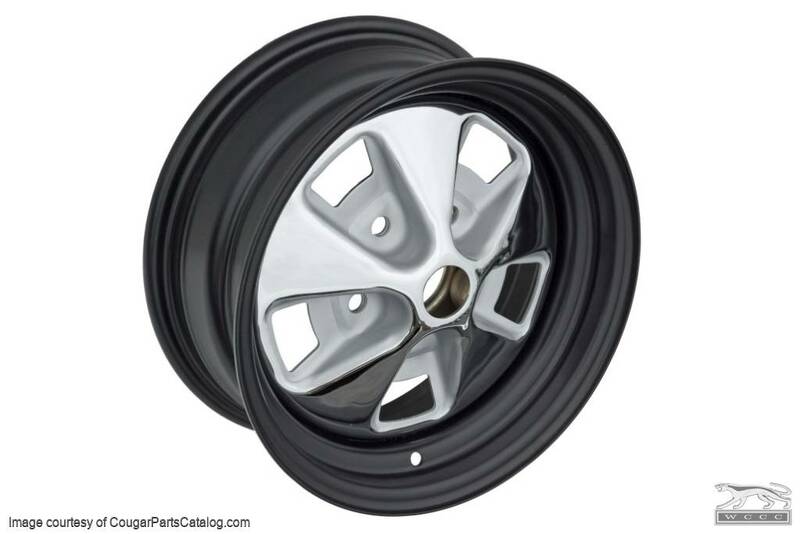 This wheel has a total width of 7", backspacing is 4" and the center hole is 1-13/16". 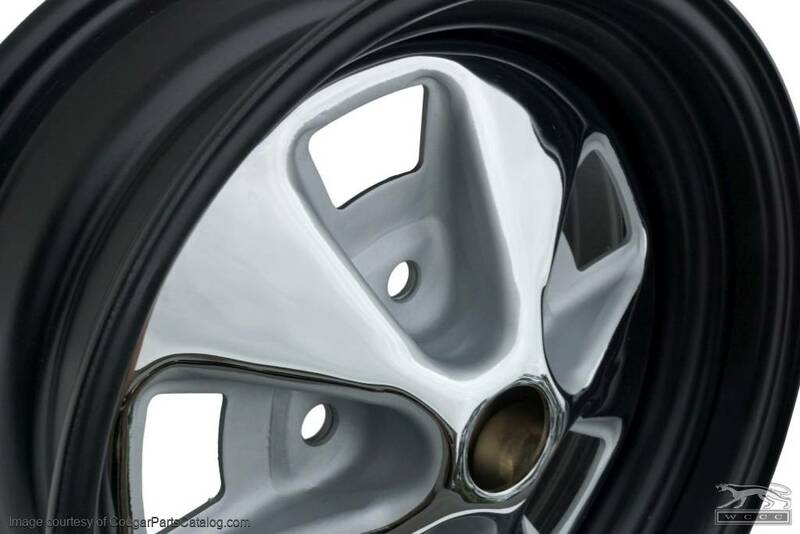 The 1967 14x5.5" is not reproduced and most likely never will be due to the fact that the larger openings in between the spokes were very prone to cracking and the contour of the wheel will not allow it to be used with most after-market disc brakes or the OEM disc brakes used from 1968-73. 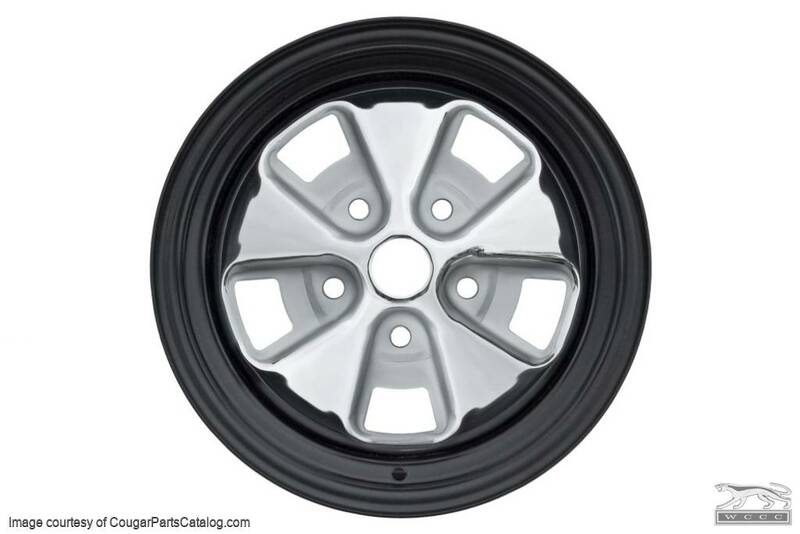 All of the wheels on this page will work with any OEM 1967-73 front disc brake configuration. 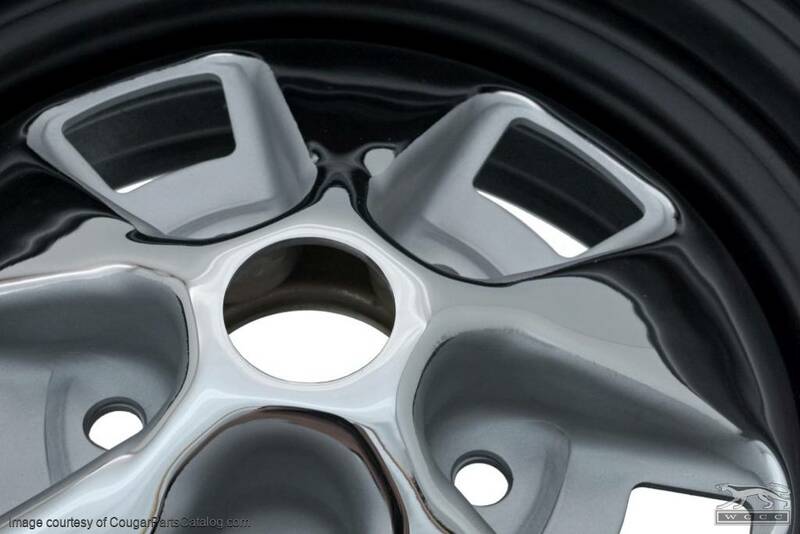 If you ever see these wheels advertised for less we would like to hear about it! Center caps, trim rings and lug nuts are sold separately. *NOTE* Please allow 4 to 5 weeks for delivery. 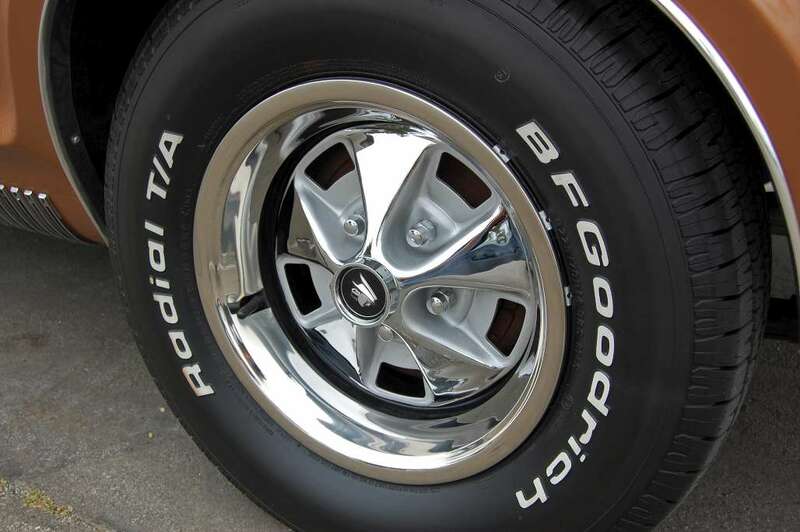 Early 1967 Cougars could be ordered with the lug area between the spokes painted to match the body color. Unfortunately, we cannot offer this service.